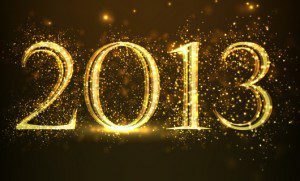 Some Thoughts As We Enter the New Year…. Once again, the start of a brand new year has come upon us. As we enter into new possibilities, may we all be reminded that we have the ability to be, do, and have anything that we want; that there are no mistakes, only lessons; and that the love and happiness we seek is already within our grasp. It’s easy to make resolutions and renew our commitments. It’s a little harder for us to just BE and know that we are loved, perfect, and abundant- just as we are. During 2012, we all grew some, laughed some (a LOT, I hope! ), shed some tears, and came to some new realizations. We reached some of our goals, gained some victories, and also came to more clearly define the things we want to have in the future. All in all, we have truly been blessed! As we begin 2013, my prayer is that we continue to grow and find the space within ourselves to know, beyond all doubt, that there is nothing more that we need to do in order to be complete. We don’t need a new exercise plan, more money, a better job, a new car or a bigger house. All we need is a willingness to allow ourselves to feel good and to be at peace in the present moment. All we need is gratitude for all that we have, and all that we have had the pleasure to be and to experience. That is the starting point from which all other things will flow into our existence. Reading: Some Thoughts As We Enter the New Year….